A new version of Samsung Experience Home, also known as TouchWiz Home, is now available for download with Landscape mode. It comes with latest bug fixes for the latest Samsung Galaxy S8 Launcher. The Samsung Launcher is also available officially on the Google Play Store. S8 launcher is now compatible with all Samsung phones running Android 6.0 Marshmallow and Android 7.0 Nougat. 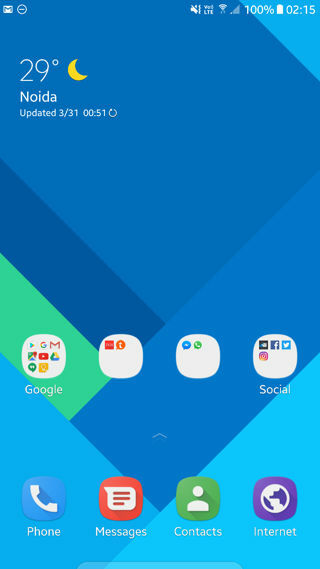 S8 Plus launcher APK download below. Samsung Galaxy S8 has been officially Unboxed and launched on March 29, 2017. The phone is available for pre-order in various markets and carrier portals in the United States and the European continent. With specifications like Snapdragon 835, 4GB RAM, Adreno 540 GPU, 12 MP primary camera, and an infinity display, the phone is truly a flagship killer of 2017. The stock firmware is based has been updated to Android 8.0 Oreo and also the previous Android 7.0 Nougat AOSP sources with Samsung Experience firmware built on top of it. The old TouchWiz is now called Samsung Experience Home with Oreo update. 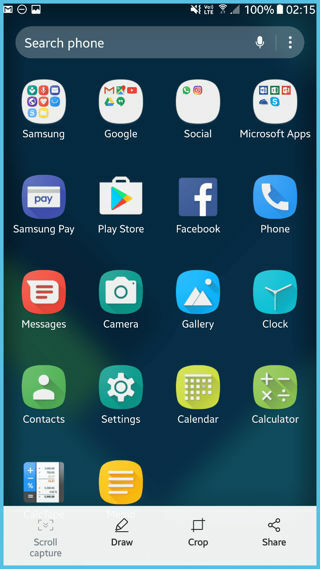 Contributors have now built an S8 Plus launcher for all the Samsung devices running stock TouchWiz firmware. The launcher has been tested working on the Galaxy S7 (Edge), S6 (Edge), and Note 5. Other devices need to be tested. 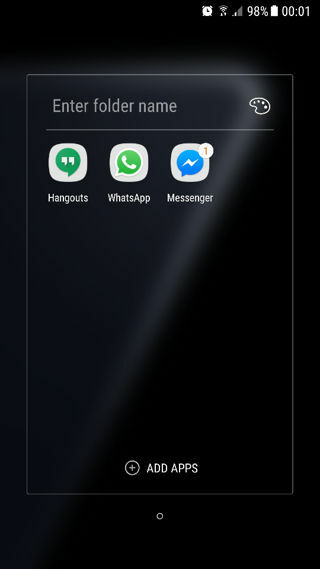 The Samsung Galaxy S8 Plus Launcher comes as a simple APK file that can be installed using the default application manager found in all Android phones. It brings the latest infinity user interface, new set of icons, notification badge, and much more. The launcher APK will upgrade the stock TouchWiz Home and make necessary changes to the user interface. It works with or without root access. The S8 Launcher TouchWiz Home has been updated. It brings new bug fixes like fixed the lag issue, information screen updated, visibility of app improved. You can also find the Marshmallow and Nougat modified S8 launcher APK file there. You can also use the launcher in this post. Simply download the APK from above and install it as a normal app. If the app throws a parsing error or conflicts with the stock TouchWiz Home, try downloading the mirror image. Once the app is installed, press the home button to change the launcher. Enjoy the new infinity display from Samsung Galaxy S8+. Samsung Galaxy latest apps on play store. Galaxy S8 Launcher: What’s new with the new Samsung Experience TouchWiz Home? Updates via the app store of your choice are only available on the Galaxy S8 and S8+. – Added an information screen to Samsung TouchWiz Home. – Fixed the lag issue when swiping up and down to switch between the home and apps screens. – Improved the visibility of app names under icons. Have the same issue… Don’t know if I can push the APK?